...a great part of Moab history. 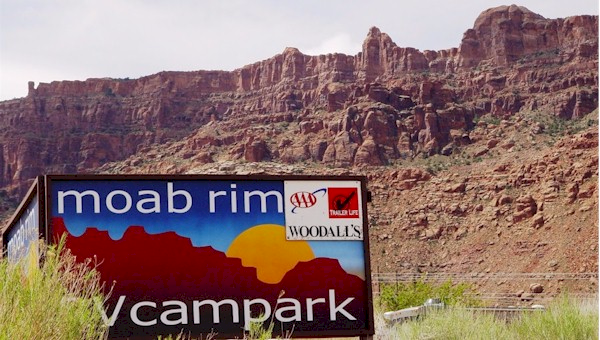 The Moab Rim RV Campark, established in 1996 is an integral part of the vibrant Moab tourist lodging community. In 2014, former proprietors, Jim & Sue Farrell sold the RV Park. Moablive.com and MoabRanch.com are no longer affiliated with the Moab Rim Campark & Cabins. This website is presented as an historical document, honoring the time when Jim & Sue Farrell owned and managed the property. In 1996, Jim and Sue Farrell thought the open space site just south of town on Highway 191 would attract campers for its beauty and convenience - over the past 16 years, they have been proven right. "RV parks are usually bought, not built," said Sue Farrell who laughs when she remembers the Moab Rim RV Campark & Cabin's beginnings. Her husband, Jim, thought managing an RV park would be "nice little part time job." "When we first opened I remember watching RVs drive right past our park and I pleaded 'please turn in, please turn in'." 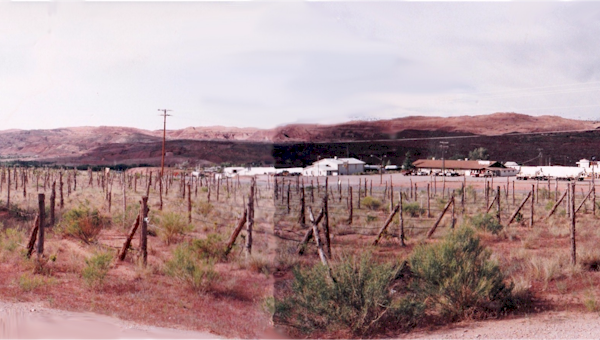 In 1996, the Moab Rim RV Campark started slow "and grew as we could" with four RV spaces and 20 tent sites. Farrell said it took eight years and plenty of learning as they went to create the park as it is today. With upgrades throughout the years, the park now features more than twenty 30 and 50 amp RV spaces, ten camping cabins, deluxe cabins and park model cottages and a few handfuls of the more basic, "but necessary and appreciated," tent sites. In 1998, the park opened the main building to offer a "camping luxurious" bathroom and showers, according to Farrell. "RVs just keep getting bigger," said Farrell. "We can offer up to 60 feet of capacity for our RV and fifth wheel campers." Beyond the park's sites and spaces, the grounds include a playground and water spray park for children, the common use bathrooms and showers and four-legged campers are always welcome in designated sites and areas. "Campers like us, or not, for the same two reasons: first, we're not right in town and second, we're busy but not crowded," said Farrell. "We also always get rave reviews of our very clean bathrooms." She said that the park has had return customers every season since 1996; July was "busier than expected" for no apparent reason. "In this economy, camping is an appealing way to travel. 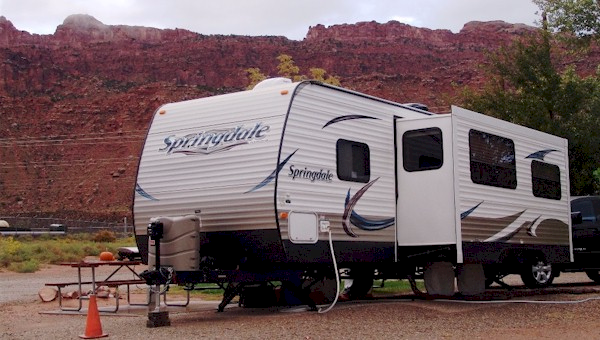 RV parks hold their own in Moab." 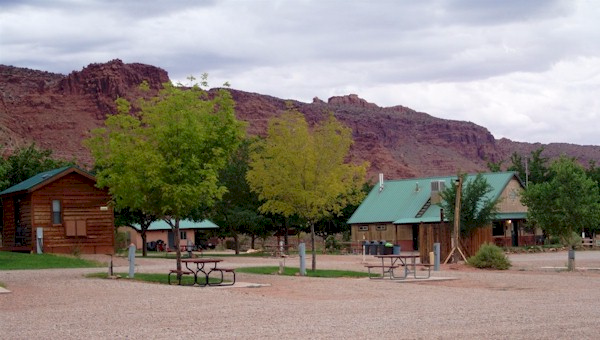 Campers at the Moab Rim RV Campark & Cabins can expect spacious, grassy tent sites, all the way up to a Park Model Cottage that includes two queen beds, a private full bath, a kitchen and cable television. There full hookup RV sites where RV campers who stay a week get their seventh night free. Farrell said that steep discounts are offered in the summer for campers who brave the heat to enjoy Moab. Also, several sites can be reserved for longer stays and often attract short term residents working seasonally in, or near, Moab. While it may seem otherwise given the consistent business at the park, the Farrells didn't have any experience in RV and camp site management when they came to Moab from Ogden in 1996. "We didn't expect it to last all these years, but here we are and the campers keep coming." 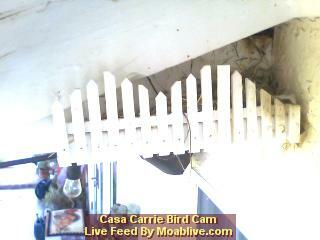 This is MoabRanch.com, designed by Jim McGillis, with technical assistance by Savalas.TV. MoabRanch.com is a member of the MoabLive.com network of websites. The mission of MoabLive.com is to increase the public's awareness of the beauty of national parks and national monuments in the West, and the preservation of unique landforms and enhancement of outdoor lifestyles. A complete listing of all domains owned by MoabLive.com may be accessed at the bottom of this page or the Links Page at Moablive.com. To see our unique animated GIF banner-rotator, check the bottom of this page. Copyright © 2010 Jim McGillis. All rights reserved. Site design: Nicholas Savalas.